The 7 Best Bike Shops in Alabama! The sun is out, the sky is blue, and Alabama the beautiful is waiting for you to get out and enjoy the view. 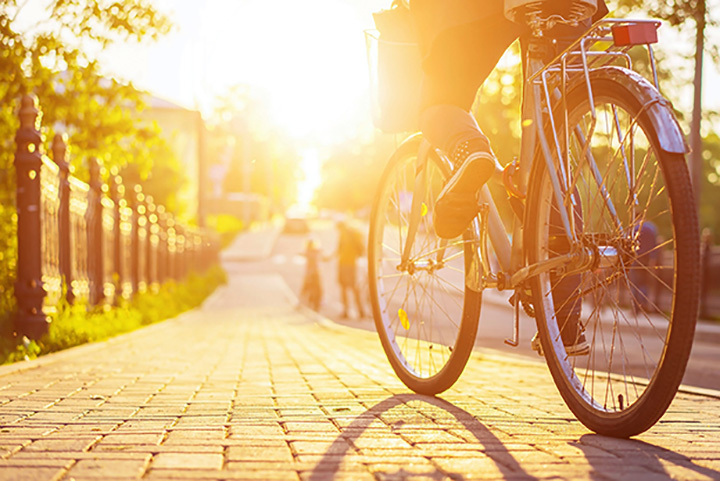 What better way to get active than biking? These bicycle shops not only sell great bikes and biking supplies, but have the best repair services in the state. For great service and the best selection, check out these excellent bike shops. As Alabama’s largest bike shop, Cahaba Cycles boasts a fine selection of bikes, whether you’re looking to bike for sport or for leisure. Their knowledgeable staff will help you find the perfect bike for you, and will fix your bike in no time when you’ve given it wear and tear. Cahaba offers free bike sizing, a five-year parts warranty, and frame lifetime warranty guaranteed. For professionals who know their bikes, check out any of Cahaba’s locations. Bob’s Bikes has all your biking essentials. Whether you’re an old pro or new to biking, the staff at Bob’s will be able to help you. From road bikes, to mountain bikes, to kid’s bikes, you’ll not only find the bike you’re looking for, but at a great price. They also have an excellent selection of bike parts, bike shoes, and, of course, helmets. Infinity Bicycles does not mess around with biking. Whether you visit the Daphne or Orange Beach location, you will not be disappointed with their services. They offer bike rentals, triathlon gear, repairs, and so much more. Stop by and get an experience from staff that is truly enthusiastic about biking. Whether you’re biking for fun or for competition, Foley Bike Shop will have everything you need. Not only do they offer bike parts, helmets, lighting, and everything you would expect at a bike shop, they offer nutrition supplements and energy bars to get help you get in prime shape for that triathlon or race you’re hoping to win. Stop by in Foley, or check out their Eastern Shores location in Daphne. If you are training for a triathlon, Montgomery multisport is the store to visit. From swimming to biking gear, they’ll have all that you need to get you in the perfect place to compete. Talk to their staff, and they’ll guide you through their extensive inventory. You’ll leave happy and confident about your training. For stellar service and educated staff, head to Madison Cycles. They have a superb selection of cycling clothing, bike accessories, bike components, and all kinds of bikes you can imagine from kids bikes to road bikes to triathlon bikes. Bicycles Etc. has helpful staff that will aid you in finding what you need at a fair price, from bicycles to essential bike gear. Although they do sell competitive biking gear, the feel of the store is not intimidating. Stop by and talk to their passionate staff, and see what the biking world is all about.